The Raduga-1M series of Military Communications Satellites is based on the Raduga (Gran) and Raduga-1 (Globus) satellites. Development of the satellites began back in the 1960s to provide secure and stable communication services across the eastern hemisphere. The first Raduga test satellite was launched March 1974 and the first operational Raduga spacecraft was launched in December 1975 and started operations in Geostationary Orbit a short time later. Over the years, Raduga satellites were launched atop Proton-K Rockets to expand and maintain the system. In 1989, the first follow-on satellite to the original Raduga constellation was launched. Known as Raduga-1, the satellites featured more transponders and provided more secure communications. Starting in 1989, the Raduga and Raduga-1 satellites were operated in parallel before the Raduga satellites were phased out in the late 1990s. Between 1975 and 1999, a total of 35 operational Raduga satellites were launched, however, three launches – including the last two in 1996 and 1999 ended in failure. Since 1989, a total of eight Raduga-1 spacecraft were launched – the most recent Raduga-1 launch took place in February 2009. 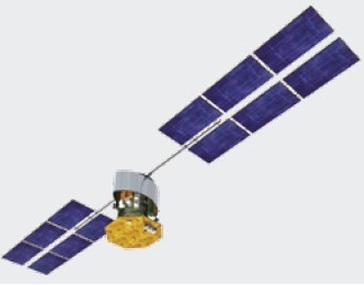 In 2007, the improved Raduga-1M satellite series was inaugurated when the first 1M satellite was delivered to Geostationary Transfer Orbit from where it inserted itself into Geostationary Orbit to start operations alongside the existing Raduga-1 satellites. The second Raduga-1M satellite was launched in January 2010. Raduga-1M #3 had a rather long road to the launch pad, suffering a number of launch delays due to problems with the satellite and delays in the Proton launch manifest because of the recent problems with the launcher and its Briz-M upper stage. Like all Raduga satellites, Raduga-1M #3 was manufactured by ISS Reshetnev, formerly NPO Prikladnoi Mekhaniki. 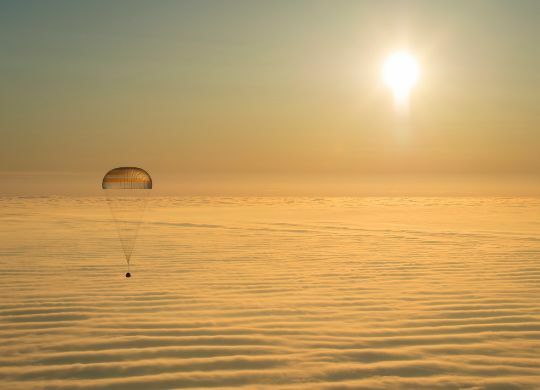 The Raduga program is semi-classified to a point where Russian officials acknowledge the purpose of the satellites, but do not release any details on the spacecraft and the mission. Raduga-1M satellites are based on the PM-7 satellite bus that is also used by Ekspress Communications Satellites. The satellite bus has a mass of 2,060 Kilograms featuring two deployable solar arrays that provide 5,300 Watts of electrical power. Raduga-1M satellites weigh 2,420 Kilograms. The spacecraft is equipped with C- and Ku-Band transponders that provide secure communications between ground terminals and mobile users. Raduga-1M satellites have a minimum on-orbit life of three years.